As the 21st century began, the Columbans were approaching the 50th anniversary of their presence in the countries of Fiji and Peru. In the late 1950s, Bishop Victor Foley, the Marist bishop of Fiji, asked the Columbans for help, and the first Columban Fathers arrived there in February 1952. In the summer of 1952, the first Columban Fathers arrived in Lima, Peru. Over the next half-century, the Columban Fathers and Sisters expanded their missions in these countries, organizing medical care, schooling, and many other services. They did so while enduring political turmoil, natural disasters, illnesses, and even martyrdom, like the murder of Columban Sister Joan Sawyer. Fiji and Peru have also made positive marks on the Columbans, providing ordinations and lay missionaries. The June/July 2002 issue of Columban Mission magazine commemorated the 50th anniversary of the Columban mission in Peru. 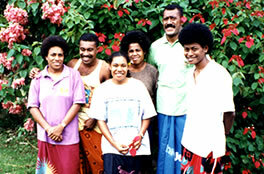 The October 2002 Columban Mission issue highlighted the Fijian 50-year mark. The Columban missions in Fiji and Peru were the first formal, large-scale Columban presences in Oceania and Latin America. The establishment of these two missions led to Columban expansion in those regions. The Fiji and Peru missions have stood the test of time to become lasting parts of the Columban world.